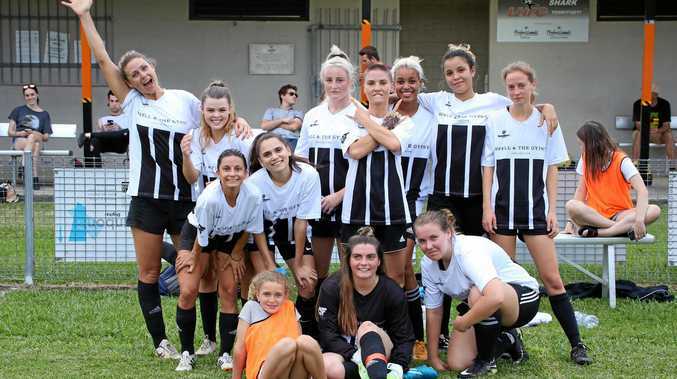 BYRON Bay FC's young Youth League teams finished the summer competition on a high note last Friday with emphatic wins over coastal neighbours Lennox Head Sharks in both boys' and girls' matches. The Spell and the Gypsy Collective Wildcats dominated the Sharks from the kick-off, taking their final round with a 5-2 win to finish third on the SYL Table. The boys' team also dominated with a comfortable 5-1 win over Lennox. The championship race, however, proved to be more of a cliff-hanger. To take the championship title, the young Rams needed a win and for table leaders Goonellabah to draw or lose their final-round match against South Lismore. The boys erupted in a jubilant celebration when the drawn Lismore match was finally announced. Byron's fourth win in the Summer Youth Championships caps off an outstanding year for the club, with point score and premiership titles across several grades.